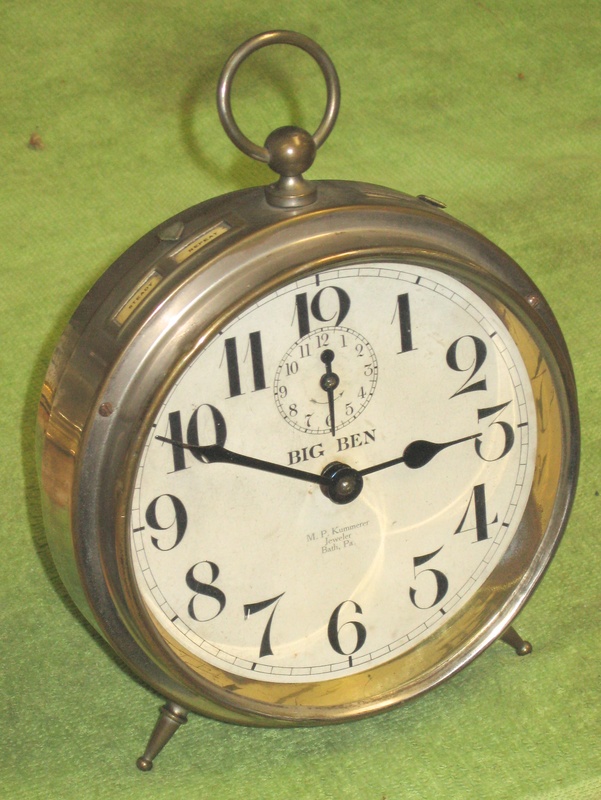 This Big Ben Style 1 alarm clock is dated 10-23-14 (October 23, 1914) on the movement. The Style 1 Big Ben was made from 1909 to 1918 (replaced by the improved Style 1a in 1918). 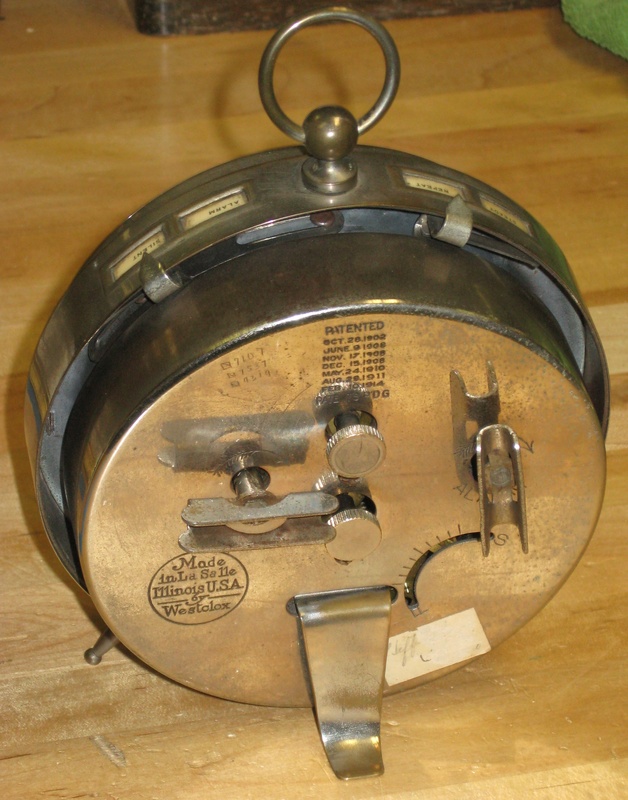 Westclox would imprint a dealer’s name on the dial for free if he bought a case of 24 Big Ben alarms. Repair job 6221. I installed 4 bushings and replaced the following worn parts: escape wheel, T4, T1 (damaged mainspring hook), mainspring. 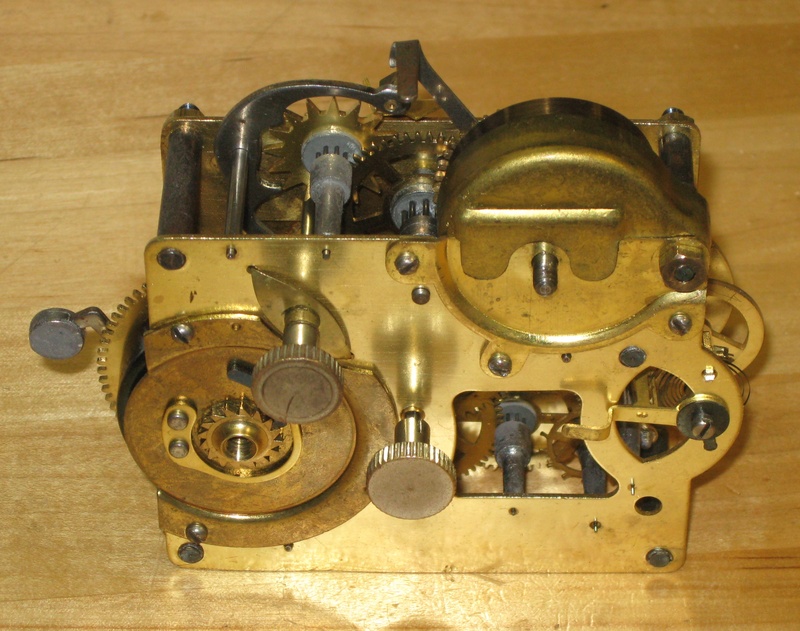 The clock had been run so much that the locking faces of the escape wheel were badly rounded off. The pallets had slight grooves cut in them, but the original lever worked better than the new lever I tried.